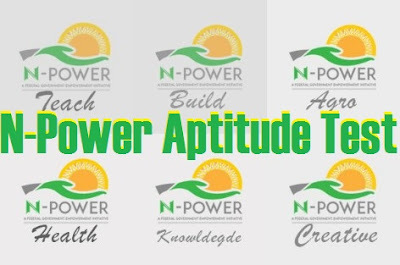 N-Power has commences assessment test for N-Teach Volunteer Corps on Wednesday and we have put together here four important things candidates need to take note of. If happened that your BVN did not correspond, such candidate will not access to log into the portal, meaning application process of such applicant has come to an end. 2. Any applicants that his or her BVN validation is pending, such applicant will have to wait for some time probably Monday, 14th August. 3. Applicants that have been scheduled for test are to attempt STEM (science, technology, engineering, and mathematics) test based on the choice of extra skill such applicant picked during registration. 4. The N-Teach volunteers Corps programme will serve 2 years, they are to be deployed to primary and secondary schools nationwide to maintain the job position of an assistant teacher, to support with school management and learn other functions.